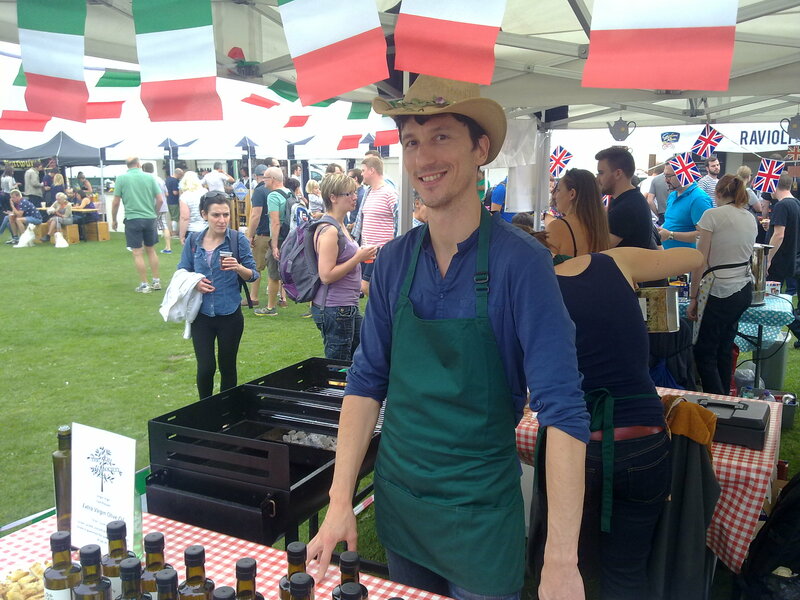 Their first public appearance was last September at the “Brighton&Hove Food festival” on Hove Lawns. I joined them to help, and we had so much fun! We offered free tastings of freshly bbq toasted bread with their olive oil and a pinch of salt. We were also selling scrumptious bruschetta with tomato, basil and garlic from their greenhouse. Below I’m pasting the presentation you find on their newly built website (www.theoilsociety.co.uk), which is still under construction. We sell single origin cold-pressed extra virgin olive oil from Tuscany. All our oil comes from family-run farms where the olives are grown, picked, pressed and bottled by the family to guarantee quality and provenance.